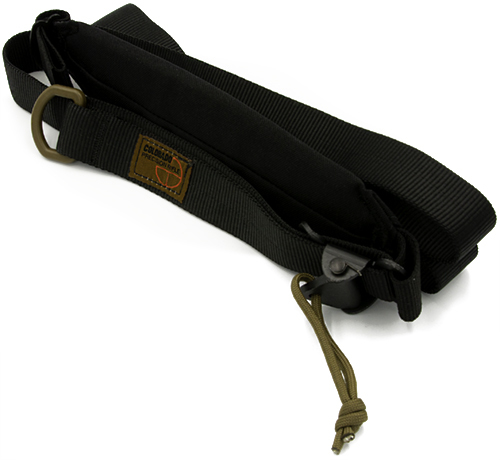 The CPRifle sling arose as the response to our need as instructors for a purpose-built, precision shooting rifle sling. We weren’t looking to develop a new product, but rather, answering a need for a product which, in our opinion, didn’t exist. Our sling has evolved completely out of real-world requirements, with a “Form Follows Function” mindset. We needed a sling that would enable us to teach our students the fundamentals of shooting, as well as how to maximize their stability in an infinite number of situations. We are very proud of its simplicity, durability, versatility, light weight and function. Our first requirement was a sling that could be used as both a cuff and two-point setup. Next was for the sling to be easily adjustable (pull towards you to tension), ergonomic and comfortable. Lastly, we wanted a sling that was simple with a minimal number of parts plus extreme durability. This sling was developed by us to meet our needs as competitors, the needs of our students as well as for our Special Operations Sniper brethren. Padded only where needed to cushion hands, wrists and shoulders as used.